Fully automated analyser for line immunoassays. The HELIA® system is able to perform all immunoblot processing steps. With an integrated camera module, it is able to read and report immunoblot results. 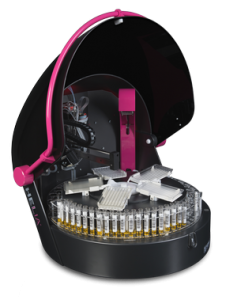 The HELIA® system unifies proven lab automation with innovative immunoblot processing and reading technology. A highly sensitive camera allows the HELIA® system to perform immunoblots from the primary sample tube, to the interpreted results. Based on the well-known HELMED® platform with several installations in reference laboratories worldwide, HELIA® combines the HELMED.BLOT® processor and AESKU.SCAN® interpretation software. Secure workflow due to 1D Barcode Scanner for automatic sample detection and identification. for patient samples and reagents. Using a highly sensitive camera with 5 megapixel resolution CMOS color sensor. Bidirectional connection with AESKU.LAB® middleware and/or LIS. 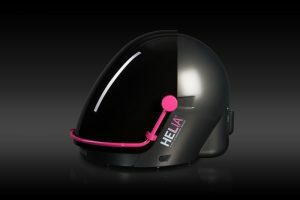 The HELIA® Device Software is very user friendly. Full automation of the immunoblot procedure with sample tubes. 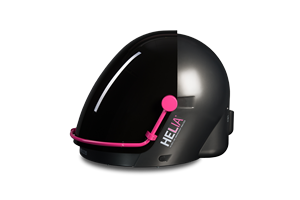 A log file will be created for each day the HELIA® software is initiated. All AESKUBLOTS® vials are designed to fit directly into the HELIA® reagent racks. 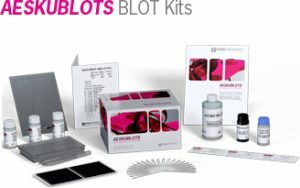 Test capacity: Up to 9 different AESKUBLOTS® tests/lots per run. Samples : Up to 40 (barcoded) sample tubes per run. Multiple racks are available in order to manage different sample tubes.